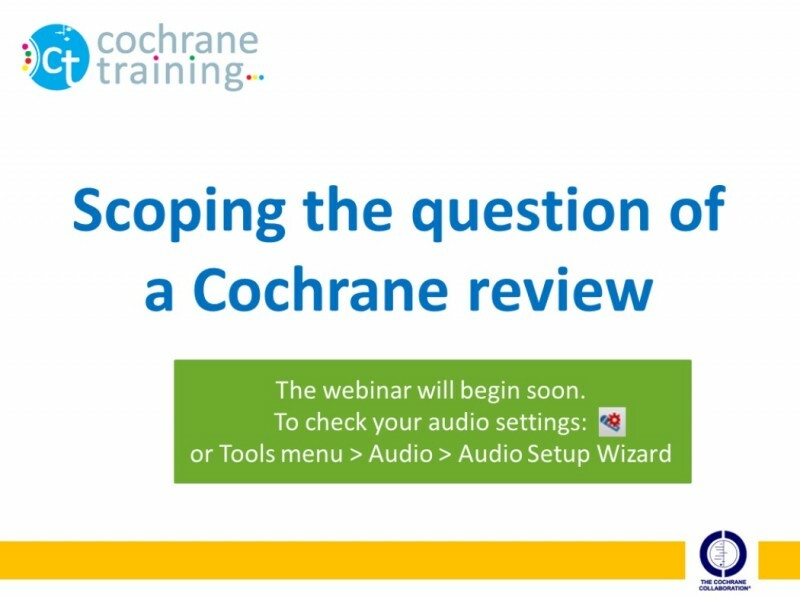 This is a recorded Cochrane Australia webinar with Miranda Cumpston, Cochrane Training Co-ordinator, on how to scope the question of a Cochrane Review. Are you planning to write a Cochrane systematic review? Not quite sure what question you want to ask? Is a broad or narrow review better? How do you describe what you want to include? For those just starting out, either considering a review or drafting the protocol, this webinar will talk you through the issues when planning the scope of your review, eligibility criteria, and considering comparisons within the review. Blackboard Collaborate Launcher software needs to be downloaded and installed to watch this webinar.